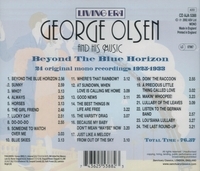 “George Edward Olsen, Sr. was an American band-leader. Born in Portland, Oregon, he played the drums and attended the University of Michigan, where he was drum major. 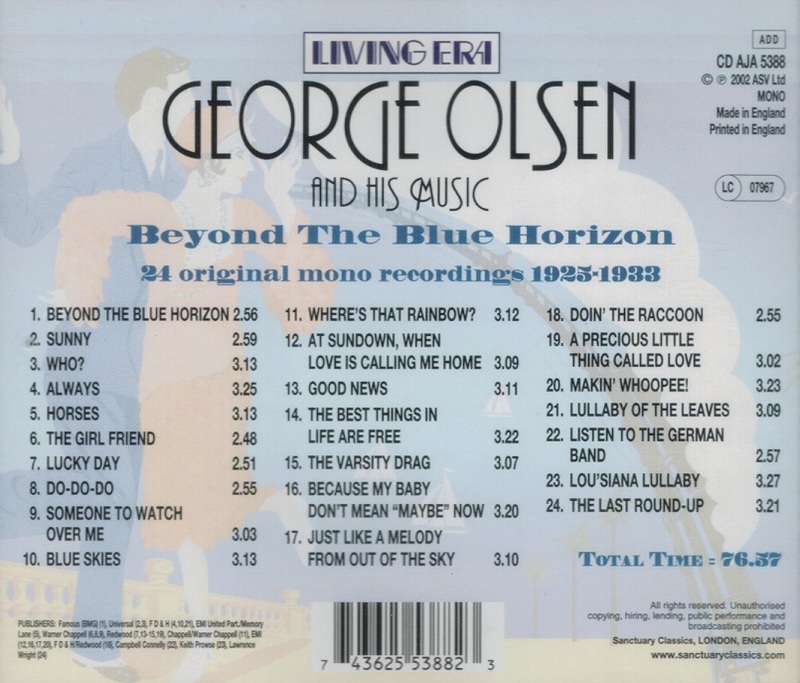 Here he formed his band, George Olsen and his Music, which continued in the Portland area. He then made the cross-county transition to Broadway, appearing in KID BOOTS, THE ZIEGFELD FOLLIES OF 1924, and GOOD NEWS. 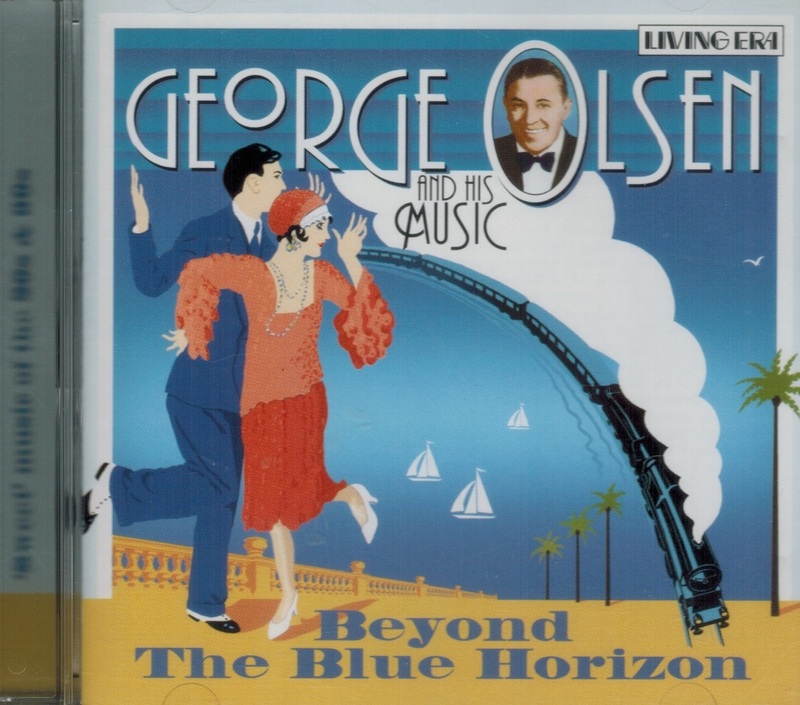 George Olsen and his Music were prolific Victor recording artists and their records are among the most numerous found by record collectors today, testifying to their original popularity. He and his orchestra were in Eddie Cantor's 1928 Broadway hit WHOOPEE!, and in the 1930 movie version. In the FOLLIES George met a singer, Ethel Shutta, who sings and dances memorably in WHOOPEE!, and they married, appearing together in nightclubs and on radio. Olsen signed with Victor in 1924 and remained as one of Victor's most popular bands until 1933 when he signed with Columbia. He stayed with Columbia through January, 1934. He recorded a single session in 1938 for Decca, and one final date for the rare Varsity label in 1940.